Was just sent to me. Trying to get more details. The wheelbase seems too long for a coupe. It also seems pretty big. 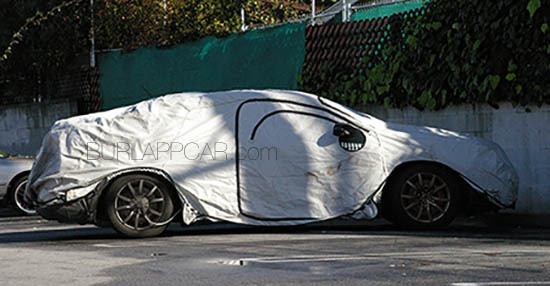 So it's probably not some weird/unknown Chinese car. Literally all you see are wheels. How is ANYONE going to know what this is, Vince? That car is, proportionality, FWD. And the side profile shows that it is a sedan. It also has a fast back where the c pillar ends at the trunk rim, like the new Civic. With the timing of the development cycle, and all of the above considered, I think it has to the new Accord. There is no other known models that fulfills such conditions unless that's a completely new model which didn't pre-exist. Hyundai's version of the Kia Stinger, Genesis G70?